Cashew nuts are the big business in Guinea Bissau. 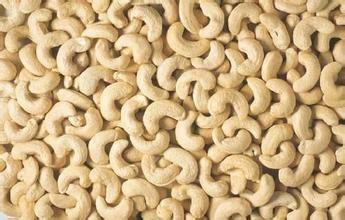 It ranked the fourth biggest exporter countries in the world for the raw cashew. The Guinea Bissau’s cashew has the best quality. Each year, many Indians and Vietnamese come to Guinea Bissau to look for Cashew to export to their countries. In China, there are factories where raw cashews are processed and import raw cashew in large quantities and export processed cashew nuts to other countries. In our SKI family, SKI Bissau SARL is our subsidiary in Guinea Bissau and has been in operation in Guinea Bissau for the second year. We are licensed to export Cashew and are best equipped with a team of 20 years cashew exporting experiences combined. “We are very proud of our team in Bissau and are ready to serve any clients from China, India, Vietnam, or any other countries in Cashew export from Guinea Bissau”, said Jim Cao, President of SKI Bissau, SARL. Our team now is positioned in 6 areas of cashew product site and have warehouse in several sites. The current plan is to ship 5000-10,000 tons of raw cashew this season if not more.